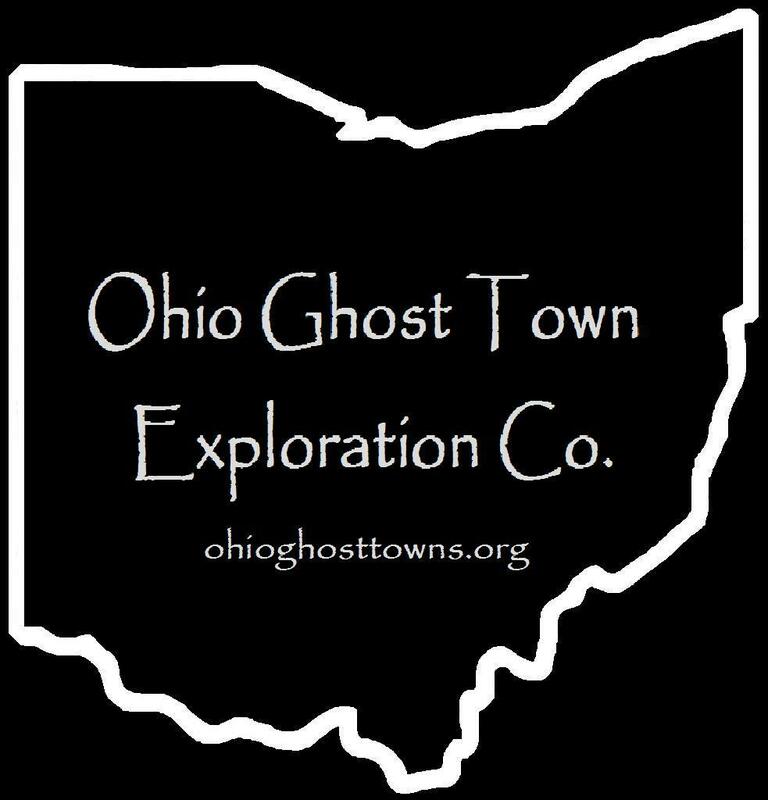 Portage County – Ohio Ghost Town Exploration Co. Description: The town had a grist mill & school & there was a saw mill, wool factory, & ashery about a mile to the east. The Pennsylvania & Ohio Canal ran through town & was used to ship goods & supplies. Residents were buried in Breakneck Cemetery which was originally in the southwest corner of the intersection of Kent Ravenna Rd & Rhodes Rd. It was moved to the northeast corner of Standing Rock Cemetery on N Mantua St (SR 43). Description: It was a small farming town in the mid 1800s with no major businesses. All that was left in the 1870s was a stretch of residences including C. Bright & J. Bright. Description: Cacklers Corners was founded by War Of 1812 veteran Christian Cackler Jr. (1791 – 1878) & Theresa (Nighman) Cackler (1791 – 1869) who both moved to Ohio from Pennsylvania with their parents in the first decade of the 1800s. They were married in 1814, the first wedding in Franklin Township, & settled in Streetsboro Township in 1816. Christian & Theresa had 12 children, a large farm, blacksmith shop, & donated land for a school at the northwest corner of Seasons Rd & Ravenna Rd. They were buried with relatives, including their parents & many descendants, in Cackler Cemetery. Description: The town was founded by Samuel Cobb (1785 – 1852) & Harriet (Sheldon) Cobb (1793 – 1860). They were married in Connecticut in 1820 & moved to Ohio in 1833. Samuel & Harriet had 3 children & a farm of several hundred acres. Their son Henry Cobb (1821 – 1894) helped clear the farm, worked in the post office, & was a school teacher. Samuel & Harriet were buried with relatives in East Lawn (Eastlawn) Cemetery on Mantua Center Rd & Henry was buried with relatives in West Lawn (Westlawn) Cemetery on Twinsburg Warren Rd. Description: It was founded by a branch of the Davis family in the county. The town had a school at the northeast corner of the intersection of Cable Line Rd & Rock Spring Rd. Description: The original proprietors were Israel Greenleaf (1813 – 1985) & Emily (Whitney) Greenleaf (1811 – 1883). They were both born in New York & married there in 1833 before moving to Ohio in 1835. Israel & Emily had 5 children. They were buried with relatives in Charlestown Cemetery on Newton Falls Rd. Description: Harrisport was name of McClintocksburg prior to 1835. The town moved south when the Old Pennsylvania & Ohio Canal opened around that time. Description: The town was founded by John Hazen (1790 – 1846) & Miranda (Mason) Hazen (1794 – 1851) who moved to Ohio from Vermont & were pioneers in Hiram Township. John built a general store in 1820. He was also a deacon & donated land for a Congregational Church in the mid 1830s. They were buried with relatives in Baptist Cemetery in Garrettsville north of Maple Ave. Description: It was a small farming town with a blacksmith shop. Description: The proprietors were Harmon Hutson (1827 – 1906) & Charlotte (Vaughn) Hutson (1837 – 1900). Harmon served in the Civil War as a riverboat pilot captain on the Ohio & Mississippi Rivers. After the war they bought a 150 acre farm in Deerfield Township & founded the Hutson Coal Co. when the resource was discovered in the area. It employed residents from the mid 1890s to late 1920s & the coal was shipped on a railroad switch called the A & N. Two of the workers also ran into a mineral water spring which was clean enough to bottle for sale. Harmon & Charlotte had one child who died at the age of 11. They were buried with relatives in Deerfield Cemetery on the north side of US 224 across from Edgewater Blvd. Description: The town was founded by a branch of the Kean (or Keen) family in the county. It sat along the A & N Railroad switch but didn’t have a train station. Description: It was a farming town & part of an extensive school district system. Description: Its proprietors were D.H. & J.A Morgan who owned a large farm in the mid 1800s. The town sat along the junction of the Cleveland & Pittsburgh Railroad & Atlantic & Great Western Railroad. Description: The town was founded by Emerson C. Parker (1874 – 1899) who either purchased or inherited a plot of land south of the intersection. Chauncey Winchel (1799 – 1883) & Persis (Parker) Winchel (1805 – 1875) were pioneers of the township & accumulated nearly 1,000 acres. Emerson, Chauncey, & Persis were buried in West Lawn Cemetery on Twinsburg Warren Rd with many ancestors of the massive Winchel (Winchell) & Parker families. Description: The town was founded by Levi Stoddard (1771 – 1860) & Patty (Burritt) Stoddard (1768 – 1845) who settled in the township in 1830. Levi built a wool mill & there was also a school on the east side of Edison Rd across from the Stoddard’s house. They were buried with relatives in Restland Cemetery on the west side of SR 43.